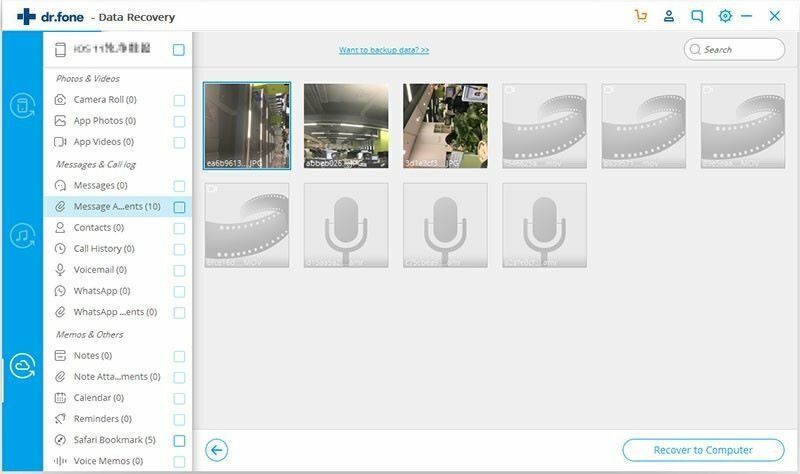 It's known to us all that iCloud is a great place to store data, but few people know that it's also a good way to retrieve data. And we could even recover data from iCloud without restore via the help of iSkysoft Toolbox - Recover (iOS). Let's find out how to recover deleted data from iCloud. Please note this way only works if you had backed up your iPhone, iPad, and iPod touch to iCloud before you lost the wanted data. 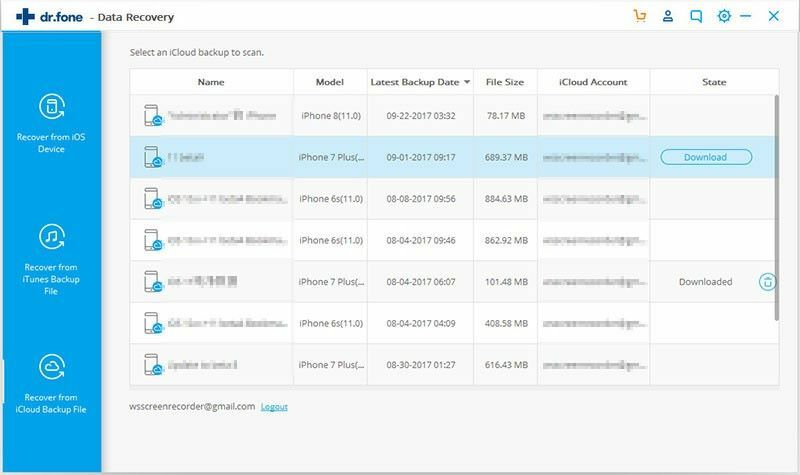 Launch iSkysoft Toolbox- Recover and click “Recover from iCloud Backup file” tab after connection. 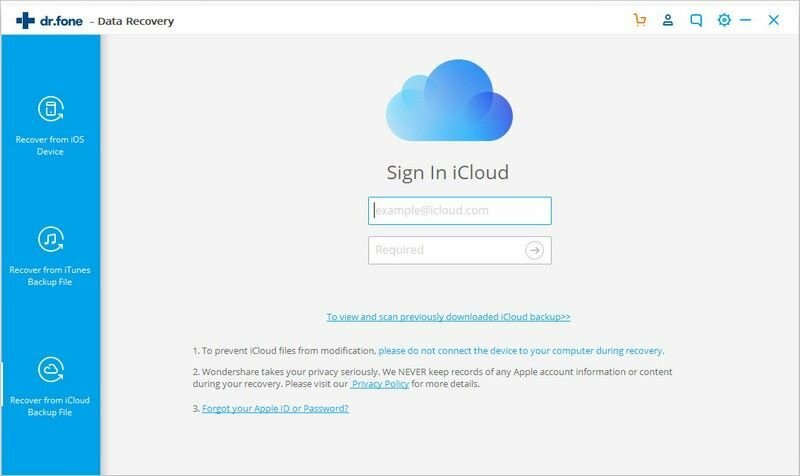 Sign in iCloud with your iCloud account information. Don’t worry about the security of your account, the software doesn’t collect your personal information at all. After you log into iCloud, all of your iCloud backup files will be detected and displayed in the main window. You’re supposed to choose the one you want to recover data from and click the Download button. In the next new window, you’re asked to choose the file types to download. Compared with downloading all files, it will shorten the time for downloading only selected file types. Click “Next” to proceed. The downloading process will begin after you click “Next”. When the downloading finishes, you can scan the iCloud content on the program. You will see all data displayed in categories. Next, you can choose any data to preview before performing the recovery. 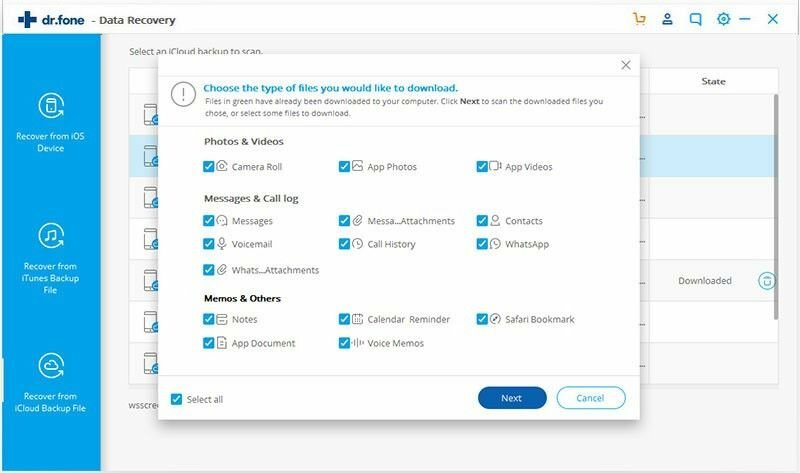 No matter you want to recover contacts, messages, photos or other kinds of files, click the corresponding file type and tick your desired files. Then choose “Recover to computer” or “Recover to your device” with one click. iSkysoft Toolbox now supports to directly recover your contacts, messages, and notes to your iOS device when your device is connected to your computer during the recovery progress. 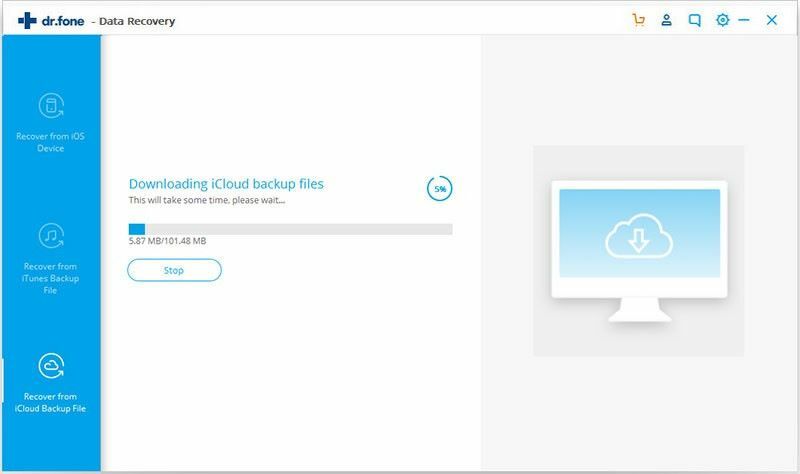 If you have already saved iCloud backup files on your computer, you could skip logging in iCloud and directly import the downloaded iCloud backup. Click the link “To view and scan previously downloaded iCloud backup” under the login form to extract data.